Richard E. Nisbett received his BA from Tufts in 1962 and his PhD in 1966 from Columbia, where his advisor was Stanley Schachter. He taught at Yale from 1966-1971. The remainder of his career has been spent at the University of Michigan, where he was the Theodore M. Newcomb Distinguished University Professor and Co-Director of the Culture and Cognition Program. Nisbett studies how people reason and make inferences about the world. He has shown both that inferences can be seriously flawed and that they are surprisingly subject to correction by training. Recent work compares East Asians with Westerners. He finds that Westerners reason analytically, emphasizing rules and categorization whereas East Asians reason holistically, focusing broadly on the field in which important objects are located. His most recent work on the nature of intelligence and its modifiability shows that heritability of IQ is not as great as previously believed and that familial, cultural and educational effects on intelligence and academic achievement are very large. Nisbett is the author or editor of 13 books, several of which are widely regarded as classics in the field. In his latest book Mindware, Nisbett describes some of the most common mistakes in reasoning that people fall prey to, and provides simple advice on how to avoid them. Dr. Nisbett has been repeatedly recognized for his contributions over the last couple of decades. 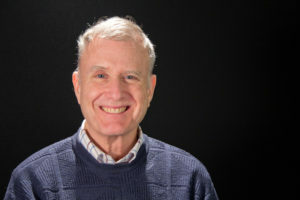 His honors include election to the National Academy of Science (2002) and the American Academy of Arts and Sciences (1992); the APA’s Donald T. Campbell Award for Distinguished Research in Social Psychology (1982) as well as its Distinguished Scientific Contributions Award (1991); the Distinguished Senior Scientist Award of the Society for Experimental Social Psychology (1995); the William James Fellow Award for Distinguished Scientific Achievements of the Association for Psychological Science (1996); the Otto Klineberg Intercultural and International Relations Prize, and the University of Würzburg’s Oswald Külpe Award for contributions to the understanding of higher mental processes (2007). The award he most values is the Lifetime Mentorship Award from the Association for Psychological Science (2014). * FABBS would like to thank Dr. Eugene Borgida for nominating Dr. Nisbett for this honor and for leading the effort. Would you like to honor Dr. Nisbett? It’s not too late to have your name added to the list of donors! You can make your donation to Dr. Nisbett’s In Honor Of… campaign at anytime.